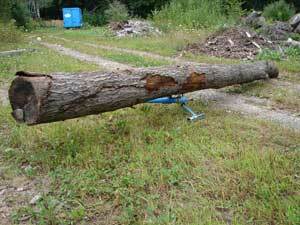 I just purchased this log stand for the 60" peavey. 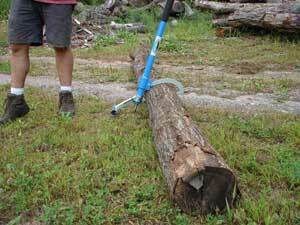 It attaches easily to the peavey which makes it very easy to raise large (or small) logs to make cutting the log with a chain saw much easier and safer. Just like the peavey, the stand is a high quality, sturdy tool that is worth the money. 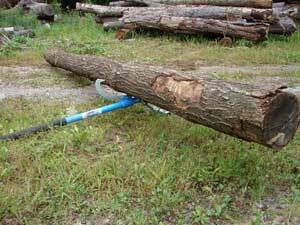 It takes away 95% of the grunt work when positioning a log in preparation to cut it into sections. 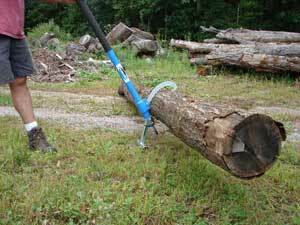 I highly recommend it as a great addition to the peavey or cant tool.